Crompton Instruments was established by the British electrical engineer, industrialist and inventor Rookes Evelyn Bell Crompton in 1881, originally dealing in a range of switchgear, electrical meters and circuit breakers and in later years centralised power stations, the company also helped develop the world’s first electric toaster! With a solid offering of analogue devices behind them, Crompton Instruments’ comprehensive range of products continued to expand over the decades that followed to include devices such as protector trip relays, current transformers and transducers. 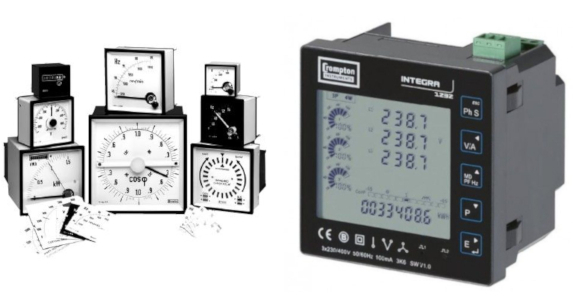 With the advent of electronically controlled technology, the Crompton portfolio was enhanced further-still with digitally controlled devices such as earth leakage relays, meter-relays and multifunction meters designed for a multitude of industrial applications. Synonymous with innovation and dependability the Crompton Instruments brand continues to flourish today as a very successful division of TE Connectivity (formerly Tyco) who acquired the company in 2002, as custodians of the brand and with their extensive experience in the realms of automation and control they are continually adding more and more sophisticated technology to the Crompton Instruments portfolio of dependable products. 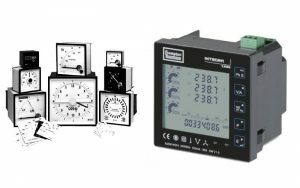 Kempston Controls, as an official distributor for TE Connectivity, stocks an enormous range of Crompton Instruments branded products ready for immediate delivery and even if we don’t currently stock the specific products you require, we can certainly get them for you and at the best prices. As you will be aware, today’s industry is rapidly changing, systems are becoming more complicated, monitoring and controlling processes and sending data via the IoT whilst improving efficiency, downtime and service costs, which ultimately means that these installations are expensive. To meet the demands of the modern industrial environment and protect the expensive assets within, Crompton Instruments’ circuit protection device range is extensive, including protector trip relays, protection current transformers, meter relays, phase monitoring relays and so much more, all designed to accurately measure, control and protect your expensive installation. For a the more traditional approach to monitoring voltage and current levels there is also a vast array of analogue moving scale panel meters designed to visualise AC and DC voltages, frequency and current ratings, offered in short-scale, long-scale, DIN style and many more in an incredible and affordable range of designs and voltage, current and frequency ratings. 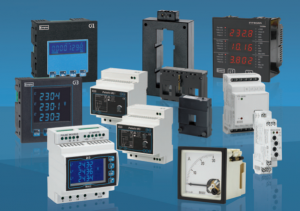 Click here to view the Crompton Instruments range of industrial control and monitoring products. Call Kempston Controls today to discuss your Crompton Instruments product needs, our dedicated sales team are always happy to help with any enquiries.